Nowadays, dentistry lives an era of great advances in scientific knowledge and materials of clincal use. Equipment used in a comtemporary dental office make a visit to the dentist more interesting everytime, because now patients can see and feel how technology spreads through all fields of everyday live and on to every branch of modern medicine. 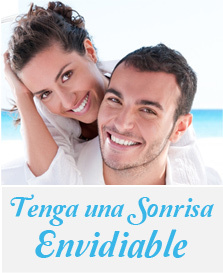 In this section of our site you will be able to browse the new technologies that we are using at Clínica Dental Vallarino to be able to offer always the best treatment possible.